UK Standard Visitor visa confusion — 'Other' or 'Business related' for attending a training/workshop as a researcher? I am going to attend a training/workshop at a very renowned research intergovernmental institution in the United Kingdom. My entire visit and all expenses will be entirely covered by my employer in my country of residence. I am attending the training event on the request of my employer to excel at my responsibilities. It is true that I am employed in my country of residence, but I am not really sure if the word 'business' matches my situation. Because I am a researcher in academia (at a research institute) and I will go to the UK for a training in another research institute. Should I simply choose "Business" and then on the next page choose "Business-related training"? 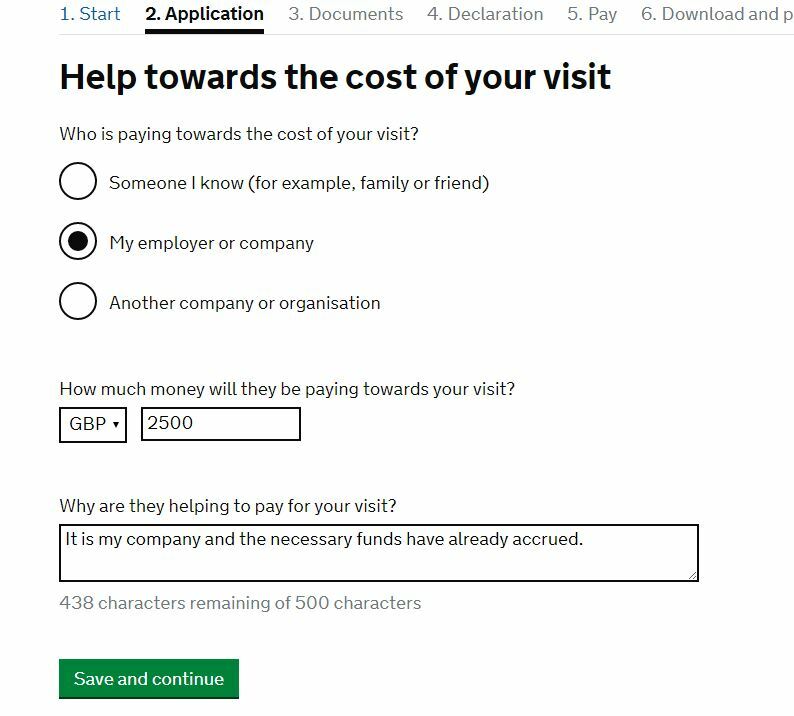 Or should I choose "Other" and then explain why I am going to the UK in the text field that comes up? Choosing "Business-related training" opens up another set of questions asking me: Will you be paid for any of your business activities while in the UK? Should I answer yes to this? My employer will pay for all the expenses arising from the trip and also will pay the training fees, food, registration, etc. Should the answer to this question then be yes or no? 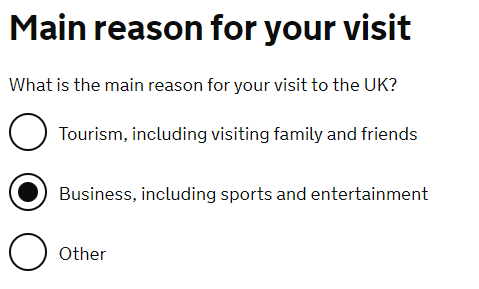 I have already contacted 'UK Visas and Immigration' and their simple answer was: "We cannot help you with that, you should choose the correct one for yourself"! You have 500 characters which should be enough, but can continue to a separate sheet if need be (this is unwise because it invites the conclusion that your application is complex). Will you be paid for any of your business activities while in the UK? Should I answer yes to this? If you are travelling on a corporate expense account (as I understand it), then the answer is no, you will not be paid. The rules allow a person to recoup their expenditures and even to receive a small honorarium. This is normal and no cause for alarm. Their instructions are to feed back what is published on their site and nothing more, and they are not supposed to delve into anything to the extent where the person becomes a "particular individual" as defined by the 1999 Act. Not the answer you're looking for? Browse other questions tagged uk business-travel or ask your own question. Do I need a business visa for Ireland if I already have Standard Visitor visa for UK?